One thing that’s always interested me is flowers that escape from their beds or pots and spring up as volunteers elsewhere. These impatiens showed up on my mother’s brick courtyard, from some pots she’d had on stands nearby. 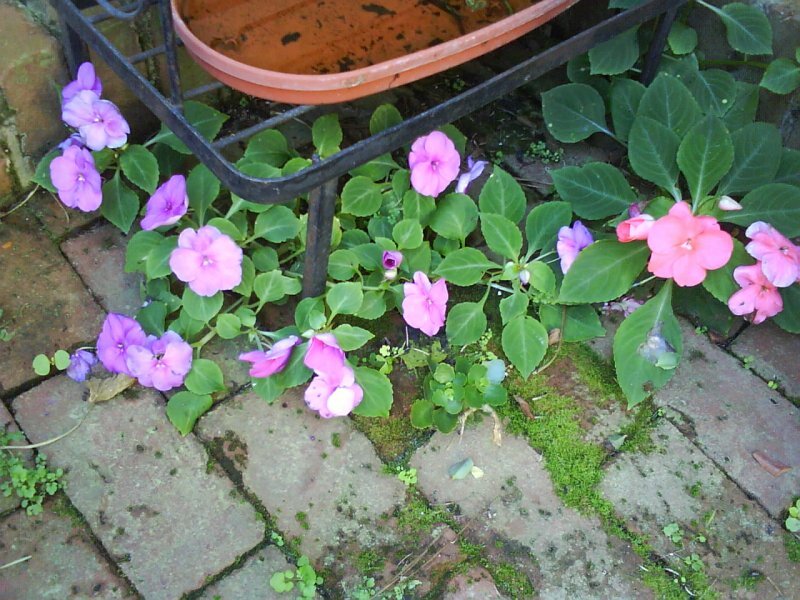 I loved the look of the impatiens against the bricks, with the added bonus of the moss. And the base of the black metal plant stand above it just added to the effect. This picture was taken last September, and the impatiens stayed in bloom until almost Thanksgiving. Life, as they say, finds a way. 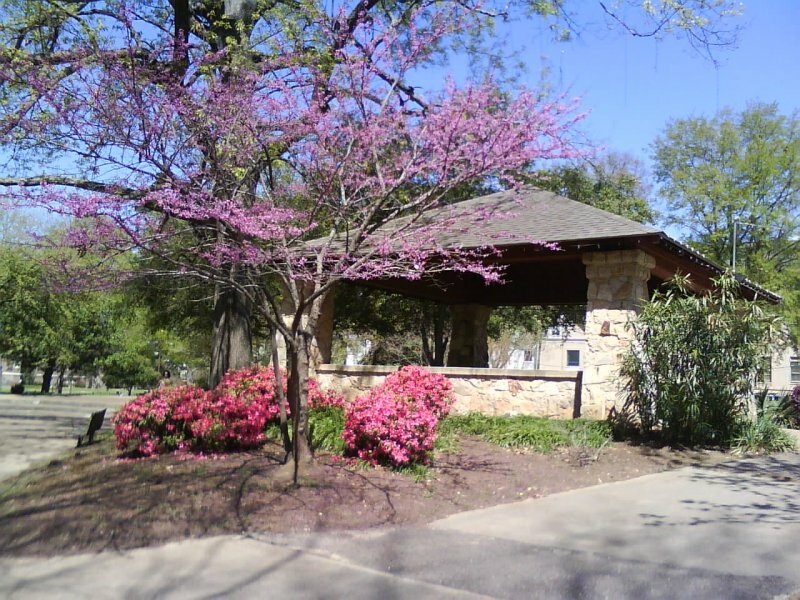 The azaleas are blooming in Smith Park in downtown Jackson. I took my sandwich and my book (The Decline And Fall Of The British Empire) there today and ate my lunch and read in the 73-degree sunshine. Maybe it’s the onset of early spring… maybe it’s a result of a not-too-satisfying flirtation with Facebook… maybe it’s the intellectual thawing that resulted from the end of the George Bush presidency. For whatever reason, after many, many months I feel like blogging again. The room feels empty, but perhaps a few souls will this way wander once again. I’m struggling to get my morning walks back to a regular habit, something that fell apart last year during and after a 6-month long battle with plantas fascitis. Nasty thing, that. Unless and until you’ve experienced it, you truly can’t understand how it can so disrupt your daily routine. But after months of stretching, sleeping in a special boot, using wedges in my shoe, finally it left me alone late last summer. And ever since, I’ve been trying to resume my walking schedule. I’ve switched The Kudzu Files to WordPress. I think I have everything working, but if someone comes across this, I’d appreciate it is you left a comment so I would know that part is awake and paying attention.